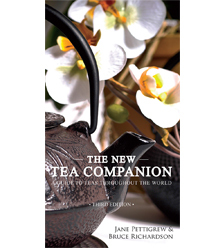 The Tea Store > Books > World of Tea by Jane Pettigrew - NEW! 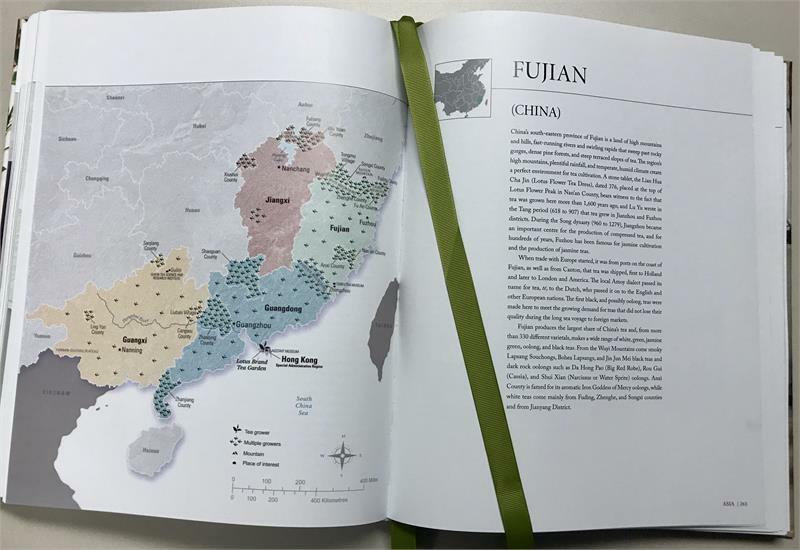 Jane Pettigrew’s World of Tea is a modern tea atlas which explains tea's history, terroir, variety of cultivars, manufacturing processes, categories, culture, and rituals. Filled with photographs and detailed maps. 434 pages. 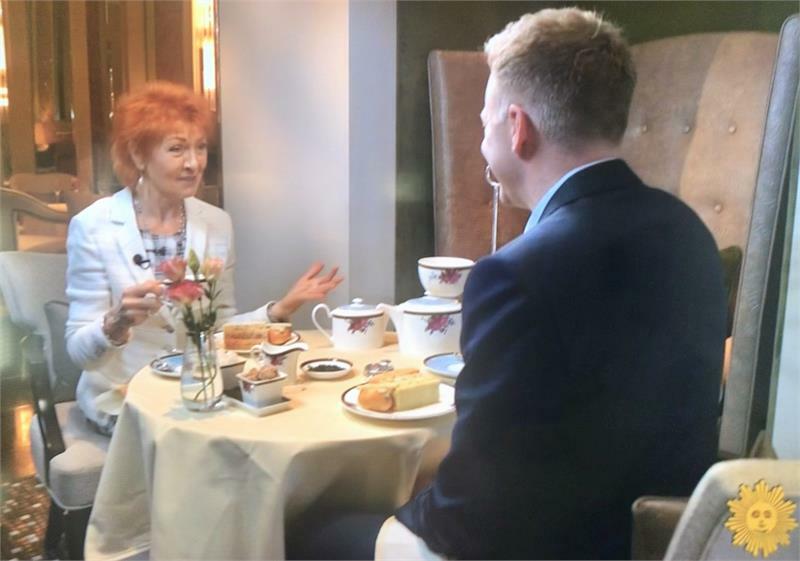 You've seen her interviewed on CBS and BBC, now Benjamin Press author Jane Pettigrew has completed her magnum opus, the world's most complete atlas of tea. From the cool, rainy climate of Northern Ireland to the benign sunshine of Tasmania, Camellia sinensis is now cultivated in more than 65 countries around the globe. 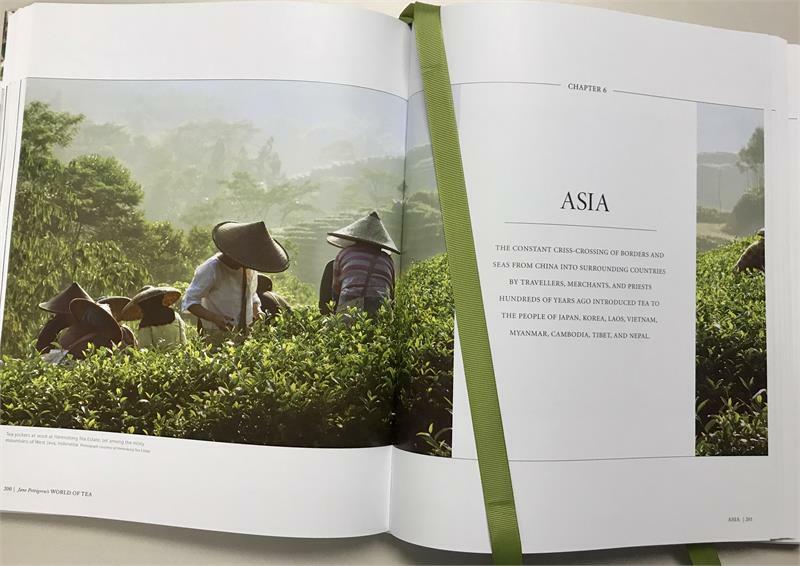 Jane Pettigrew’s exploration of tea farming and manufacture reveals the care and dedication of all those who nurture this remarkable plant to offer us an infinite choice of wonderful teas. Not available wholesale. 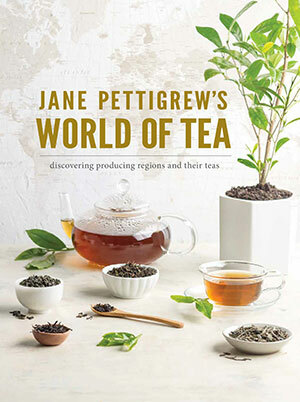 When I ordered Jane Pettigrew's World of Tea, I expected a stunning coffee table book, but it's that and so much more. 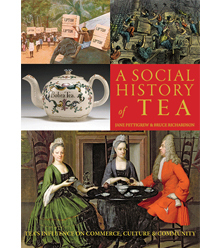 The book is divided into seven chapters, the first on the origins of tea, and the next six on the tea producing regions of the world: North America, Central and South America, Africa, Europe, Asia, and Oceania. Pettigrew gives an overview of tea production around the world, all while sharing fascinating stories from tea history--the Portuguese introduction to tea in the 16th century on the Island of Macao, the connection between colonialism and tea production in Africa, and a glimpse of small tea farms in the United States. The volume's greatest contribution may be its 200+ pages devoted to Asia. 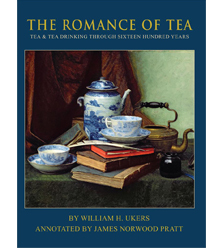 Beginning with China, the birthplace of tea, Pettigrew leads the reader through the different tea producing regions of the continent, including but not limited to India, Japan, South Korea, and Thailand. 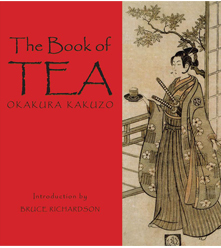 She not only explains the history of tea in each area, but provides descriptions of types of tea and main varietals. The maps are extremely helpful in visualizing the different regions, and the summaries in the sidebars allow for quick reference. 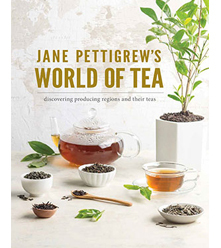 Jane Pettigrew's World of Tea would make a lovely gift for a dedicated tea enthusiast or for a new tea drinker who is ready to go deeper into the fascinating world camellia sinensis.